Tucked away in a serene neighborhood on the cliffs, just past Negril’s Lighthouse is Idle Awhile's new sister property, 'Hide Awhile Villas'. With 3 two-story villas it's the ideal place to relax away from the bustle of crowded lobbies and beaches. 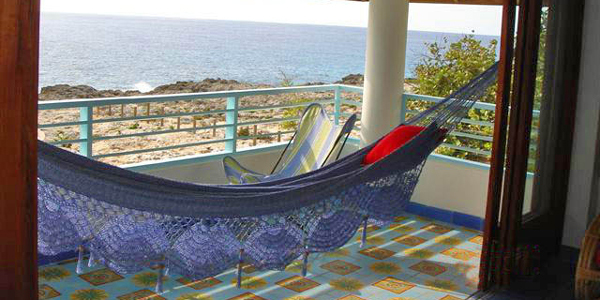 Our Villas are air-conditioned, two full bathrooms, with an outdoor shower, flat screen television with cable service, wireless internet, and a beautiful fresh water pool wrapped by a stone tanning deck that leads to a ladder for easy access to the beautiful Caribbean Sea for swimming and snorkeling on the reef. 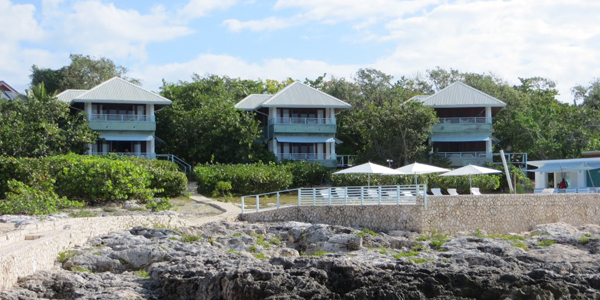 Welcome to Hide Awhile, Idle Awhile Resort's new sister property tucked away in a serene neighborhood on the cliffs of Negril, just past Negril Lighthouse. Guests at Hide Awhile get free access to Couples Swept Away's famous Sports Complex and free shuttle service to and from Idle Awhile to use the Idle Awhile Beach and Chill Awhile Restaurant.